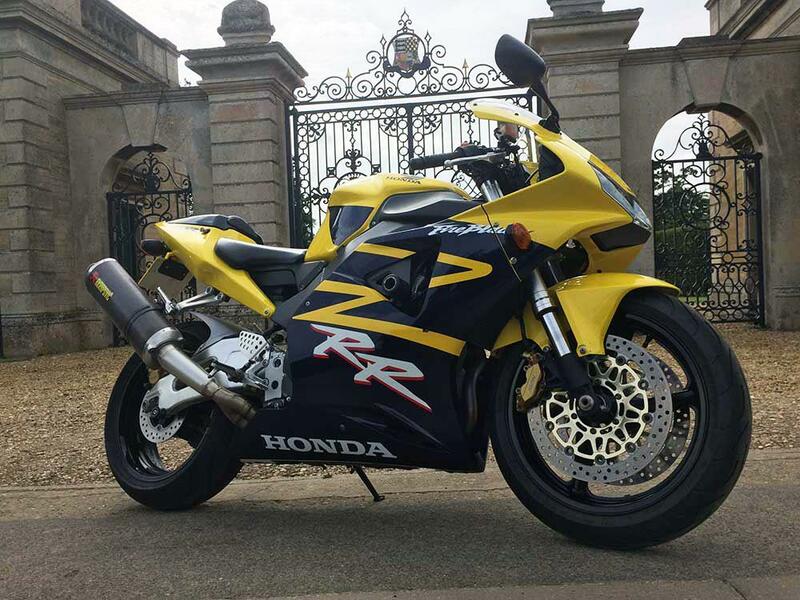 In case you hadn’t noticed, I’m in love with my 2002 Honda Fireblade. It’s the definitive real-world 1000cc sports bike. The 954 model Blade is comfortable, practical and stonking good value right now. For the money (we paid £3500 for ours) I can’t think of a better value machine. But that doesn’t mean the Fireblade is without fault. One particular fly in the ointment is the gearbox, more specifically a notchy and vague gear change. Much of this (I’m told by other owners) is caused by the long shaft that connects the selector forks to the shift linkage, this shaft flexes in operation and the more aggressive you are with the gearchange the worse it gets. Luxembourg based performance parts manufacturer Gilles Tooling solved this problem soon after the bike was launched with their Gear Shift Shaft Support. This CNC machined alloy part was recommended by 954 owners in our 954 mods survey we ran last month. Luckily Gilles still make them and I finally got round to fitting one last weekend. Costing £62 from retailer Performance Parts and taking just fifteen minutes to fit the bracket is very nicely made (like all Gilles kit) and neatly slots into place. As the name suggests, the bracket supports the end of the shaft (with a needle roller bearing) preventing excess flex. If you’re thinking of fitting one make sure this surface is clean and corrosion free. The bracket locates behind the side stand mounting plate. The thickness of the part moves the sidestand bracket outwards causing the plate to touch the gear linkage rod. To counteract this problem Gilles supply a couple of spacers that slot under the footpeg mounting providing enough clearance for the rod. Longer stainless bolts are also supplied but sadly the Allen heads don’t have quite the same appearance as the original Honda bolts. On the road the difference is instantly noticeable. While the gearbox still has a degree or notchiness it’s been improved by 100% and I’m no longer left wondering if a gear has been selected properly. Just like the bike itself, for the price the Gilles Support Shaft is phenomenal value. If you own a 954 model Fireblade I highly recommend you fit one.